A selection of blanched almonds, walnuts, golden raisins, apple juice infused dried cranberries and sweetened dried cherries. 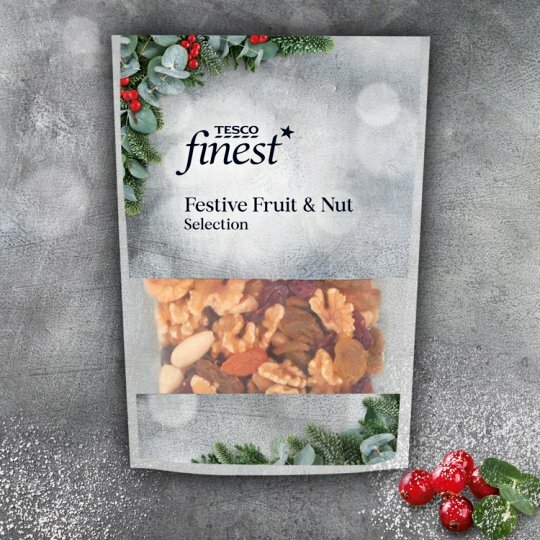 Sweet and crunchy medley of juice infused dried cranberries, walnuts, golden raisins, almonds and sour dried cherries. INGREDIENTS: Blanched Almonds (25%), Walnuts (25%), Golden Raisins (20%)[Raisins, Sunflower Oil, Preservative (Sulphur Dioxide)], Apple Juice infused Dried Cramberries (15%) [Cranberries, Apple Juice, Sunflower Oil], Sweetened Dried Cherries (15%) [Cherries, Sugar, Sunflower Oil]. For allergens, see ingredients in bold. Also, may contain peanuts, other nuts, sesame seeds and soya..